Abydos was one of the most important sites in ancient Egypt and today is a main centre of attraction because of the well-preserved temple of Sety I and the smaller nearby ruined temple of Rameses II. Abydos was the site chosen as the burial place for the first pharaohs and it was the cult centre of the god Osiris. New excavations in the area have revealed monuments there dating to most periods of ancient Egyptian history. For such an important location, it is perhaps surprising that there have been relatively few books (other than excavation reports) published on the site for over thirty years, so this new book is long overdue and most welcome. The author draws on his own experiences over forty years of work and excavation at the site, as well as bringing together the most up-to-date information and research. The book begins with the well known New Kingdom temples of Sety and Rameses and deals with the cult of Osiris. 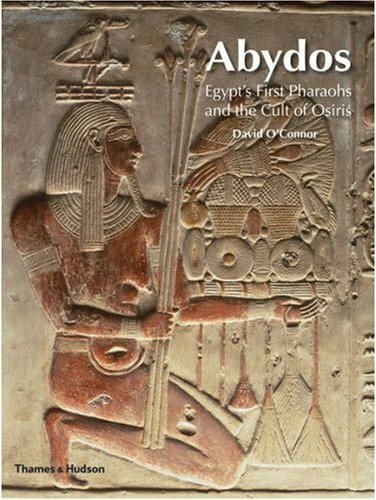 It is then that the book becomes really interesting for me, as it moves on to look at the evolution of the landscape and then looks at the earliest phases of Abydos and the royal tombs there. This part of Abydos is not usually accessible to visitors, and for the few who do make it, there is little to see. Many of the royal tombs have been re-excavated in recent years and have yielded the earliest evidence for writing in Egypt and a number of boat burials, which are described and illustrated in detail for the first time here. Superbly illustrated with photos in black-and-white and colour (though more colour images would have been nice), and with maps, plans and diagrams, this book is highly recommended to anyone with an interest in the site and especially to those who are keen to find out about some of the oldest, yet little-known monuments in Egypt. It will be useful for the general reader as well as for students, with its useful notes and a select bibliography. This is an ambitious volume and the result of years of work and research, which the author states was begun when he was ten years old, to be picked up and completed thirty-six years later. 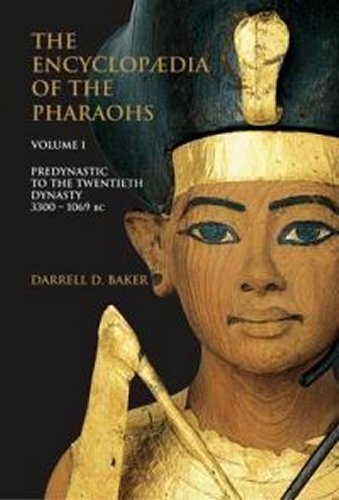 The finished work, a hefty 587 pages, lists every known ruler of ancient Egypt, from the obscure rulers of the Predynastic Period to the Ramesside rulers of the Twentieth Dynasty. Entries are listed alphabetically, so one needs to refer to the introductory King List to see who is included. The entries all follow the same format, with each ruler’s names in hieroglyphs, listing not just the birth name and coronation name (Nomen and Prenomen) but (where known) the Horus name, Two Ladies name and Golden Falcon name, all of which will be invaluable to anyone who likes to be able to identify royal names on inscriptions. The length of reign is included, the location of any tomb and mummy (if known) the names of any consorts, and variants of the name of the ruler. There then follows a concise biography, details of any monuments and a list of references for further reading. This is one book that I know will be well used and is, therefore an absolute must for any serious student as an ideal starting point and reference work. The great benefit of this book is the full list of rulers, details of which are unlikely to be found anywhere else. Its alphabetical run of rulers does make for some strange connections, with Qemau, an obscure king from the Thirteenth Dynasty, appearing before the run of pharaohs who bore the name of Rameses, of whom much more is known. It does bring home the large number of rulers of whom we know virtually nothing. The author is to be congratulated on a monumental work. The publishers, I understand, intend to produce a second volume covering the rest of the Pharaonic period. The Ashmolean Museum in Oxford contains one of the best collections of Egyptian antiquities in the country, after the British Museum. 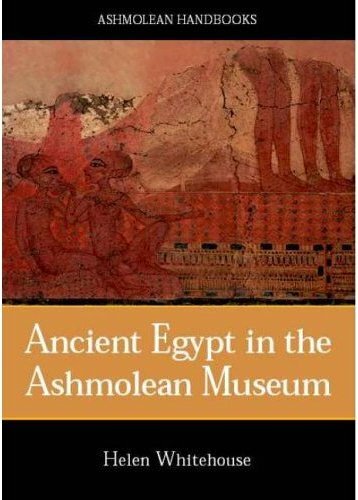 This new publication follows the reinstallation a few years ago of the Egyptian collection in the Sackler Gallery of Egyptian Antiquities. The collection derives mainly from excavations in Egypt from the late 1880s to the 1960s and the range of objects is impressive. The introduction to this book details the history of the collection and is followed by what is essentially a superb illustrated catalogue of some of the main items from the collection. Each item is illustrated with a colour photo, followed by a detailed description. The items included range from the Predynastic and Early Dynastic (the museum has a particularly fine collection of objects from this period) to a number of unique pieces dating from the reign of Akhenaten; there is even a complete shrine dating to the reign of Taharqo from Kawa in Nubia. Well written, the catalogue is also well illustrated and is not just an excellent souvenir of any visit to the museum but also a useful and informative publication featuring some top class, important and spectacular antiquities. Published by The Ashmolean Museum, Oxford, 2009. This book follows a detailed study of the mummy of Meresamun, which has been in the collection of the Oriental Institute in Chicago since 1920. Found at Thebes, the mummy is encased in a fine painted cartonnage coffin, which has never been opened. X-rays and CT-scanning have made it possible to see the body inside the coffin. 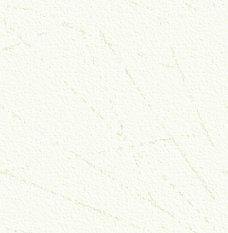 This technique will no doubt be familiar to readers of AE and is one that has been used now by museums all around the world. The book explains the process and the discoveries made and it includes many of the intriguing and fascinating views of the body inside its cartonnage shell. Following the research, the Oriental Institute’s museum mounted a special exhibition around Meresamun, drawn from objects in the museum’s collection. These include objects that are connected to her role in the temple and at home and also her important role and status in ancient Egyptian society. This book is, therefore, a catalogue of the exhibition and is not only a good souvenir for a visitor to the exhibition, but also an excellent book for the general reader. The various sections include some fine illustrations of items, many of them humble daily-life or ritual objects. 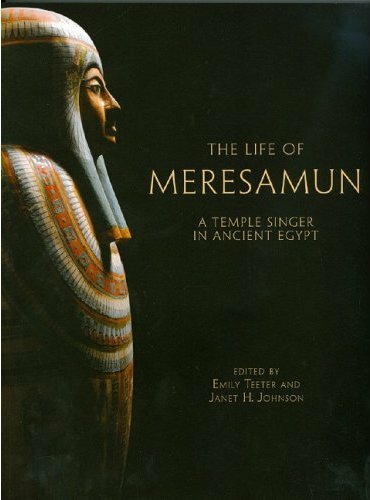 The illustrations are accompanied by short essays, which explain clearly, for example, the role and function of temple singers, and Meresamun’s life outside the temple. Well illustrated, it is a publication that makes Meresamun a real person, rather than just a modern museum exhibit. The title of this books sounds rather like that of a horror novel, but in its ten chapters it covers several interesting and often misunderstood aspects of ancient Egypt. To my mind many of the so-called ‘mysteries’ are not mysteries at all, but subjects such as the ‘Curse of Tutankhamun’ have gripped the public’s imagination for decades; this book does a good job in debunking some of the myths and misconceptions that have arisen over the years on this and other subjects. Chapters cover ‘Who were the ancient Egyptians’, ‘The Mystery of the Pyramid Builders’, ‘The Mystery of the Sphinx’, ‘Oracles, Priests and the Secrets of the Afterlife’, ‘Hatshepsut the Queen Who Ruled as King’, ‘Akhenaten – Pacifist, Heretic or Cunning Politician?’, ‘Tutankhamun – Investigating the Murder of the Boy King’, ‘The Invisible Trail of the Exodus’, ‘Cleopatra, the Making of a Legend’ and the ‘Curse of the Mummy’. The author pulls together the known facts and interestingly looks at what earlier authors have said about the various subjects. It is clear that the published information on some of the pharaohs mentioned, such as Hatshepsut, Akhenaten, Tutankhamun, and Cleopatra owes much to the viewpoints and hidden agendas of the authors. So, for example, Hatshepsut can be seem as an ancient version of Queen Elizabeth I, or Queen Victoria, or the Wicked Stepmother in Cinderella, or the modern liberated woman. In practice, of course, she may well have been a combination of all of these. The author succeeds in proving that perhaps the title of the book is misleading, in that so many of the ‘mysteries’ are without foundation and have arisen because of misunderstanding or deliberate manipulation of the limited facts available. This small book is an easy and interesting read, although there are inconsistencies. On page 182, for example, we are told Carnarvon was bitten by a mosquito in Cairo (I thought it was at Aswan or somewhere on the River between Luxor and Aswan), yet on page 184 we are told “we do not know where Carnarvon received the fatal mosquito bite”. The book has a few black-and-white illustrations and some line-drawings and plans. In one line-drawing Akhenaten is wrongly titled as Nefertiti and, in a plan of the Giza Plateau, the ‘Curse of the Mummy’ has clearly struck, for the pyramids of Khafra and Khufu appear to have swapped places. 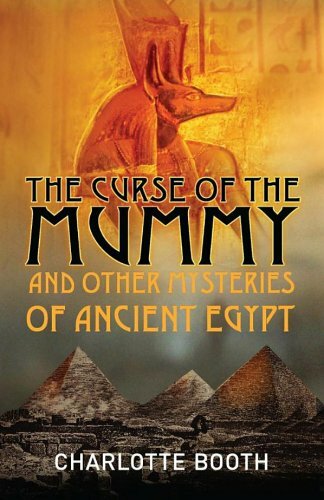 On the cover, the Curse seems to strike again, for the illustration used seems to feature a mysterious extra pyramid, located between the pyramids of Khufu and Khafra. 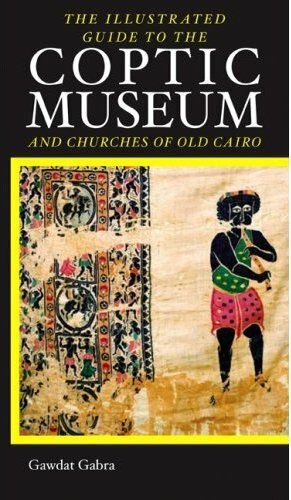 This is another in the series ‘The Illustrated Guide to …’ and is in the same style and format as two other titles: on the Egyptian Museum in Cairo and on Luxor. The Coptic church is one of the oldest Christian communities in the world and some of the earliest Christian roots can be found in Egypt, particularly in the heart of Old Cairo, home to many churches and the Coptic Museum. The museum was founded in 1908 and houses a large and impressive collection of Coptic artifacts from the earliest Christian period to the nineteenth century. The museum was recently expanded and refurbished, and this book, fully illustrated with superb colour photographs, will take the reader or visitor though the collection. The clear and concise text explains and illuminates the aesthetic and religious importance of each of the objects on display, which include icons, stelae, sculptures, wall paintings, wooden altar screens, liturgical implements, vestments, bible caskets, textiles, ceramics and documents (including the Nag Hammadi Gnostic Library from the fourth century, one of the most important items in the collection). The guide provides a useful insight into the life of Egypt’s Copts over the last two thousand years. The guide to the museum takes up most of the book, but the last section provides information on the churches, which are close to the museum, and also on the nearby Ben Ezra Synagogue. One thing that is sadly lacking is a map of the area showing exactly where the churches are in relation to the museum, but the area containing all the places of interest is small. Having visited the area many times, I have managed to miss the Church of St. Mercurius, included in the book (and now on my list of places to see on my next visit). 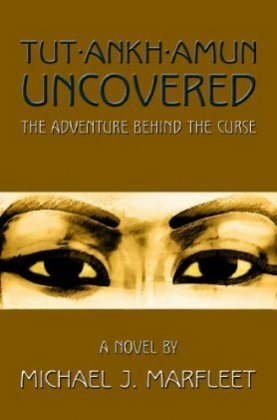 I invariably approach novels set in ancient Egypt with some trepidation. I suspect that this is because too much knowledge about ancient Egypt can get in the way when inaccuracies or distortions of known or accepted historical events and characters are incorporated into a story. This is a novel set towards the end of the reign of Tutankhamun, including his death, burial and events around this time, involving well known historical figures. As AE readers will no doubt know, there is more than enough potential for a good story when writing about this period, and equally plenty of scope for fanciful interpretation of the limited known facts. This is also a story that has been told in novels many times before, and indeed to some extent in works of non-fiction too. This book is, however, more complex than that, for there is another tale to be told, that of the young Howard Carter and his work in Egypt, his partnership with Lord Carnarvon and the ultimate discovery of the Tomb of Tutankhamun. The two stores are told in parallel and gradually converge into one story. I can say that I really enjoyed this book much more than I expected and I suspect that this is down to what must have been considerable and painstaking research on the part of the author. When writing a novel about Tutankhamun, any author has to take almost a black-and-white stance about things such as who was related to whom, and what happened and when … there is no room for the words ‘probably’ and ‘possibly’ that one finds (or should find) in non-fiction accounts. The author has taken the known facts and woven a very plausible and believable story around them, with nothing that overly jarred or conflicted with my reasonable knowledge of the period. In fact the benefit of its being a novel actually means that some parts of the story can actually be told far better than in a simple list of known facts. I especially liked the wonderful description of Tutankhamun’s funeral with the tomb being filled slowly with all the treasures we know so well today. I think it is the Carter and Carnarvon part of the story that was the most enlightening. There are several biographies of Carter, but some biographies can be heavy going at times. Here, Carter and Carnarvon are given voices and very believable ones too. The account of Carter’s famous falling-out with some French visitors at Saqqara is a delight to read and is probably the closest one will ever get to what actually happened. This is much better than reading a biography and Carter’s complex and intriguing personality comes across particularly well, when he is given a voice of his own. Lord Carnarvon is also revealed as much more than just the rich sponsor in the background. The account of the events surrounding the life and death of Tutankhamun are, in my opinion, as good a fictional interpretation as one might wish to find as is the parallel story of Carter and Carnarvon. Unlike when reading most other novels set in Egypt, the ‘Egyptology’ part of my brain was surprisingly inactive and did not disturb my enjoyment of the unfolding story at all. It is a story of the ancient Egyptian’s fascination and preoccupation with death and the Afterlife and of two Englishmen, very much alive and preoccupied by death, too, insofar as it let them into the ancient Egyptian world and that of Tutankhamun and his queen in particular. Add just a little twist of the supernatural and a dash of ‘the curse of the mummy’ (but neither overdone) and you have all the ingredients for a really good read, which is exactly what this book is. One of the co-authors of this new book is “the world’s bestselling thriller writer”, and indeed I have read and enjoyed most of Patterson’s novels. This book is his “first historical nonfiction work”. 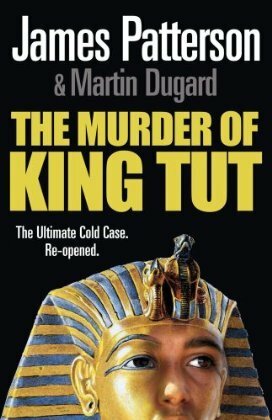 Ignoring the use of the abbreviated “Tut” for Tutankhamun, which annoys me intensely, I was expecting a new insight into “the ultimate cold case reopened”. Patterson seems to have been the driving force behind this book. Dugard is “an author of numerous works of history and adventure”. However, it was immediately apparent that this is not really a non-fiction book at all. The book is set in three time-spans. The first, today, where the authors describe their interest in the subject, then one time-frame set in ancient Egypt, and one in the early twentieth century AD. Patterson states in the introduction, “I don’t think I have ever done more research for a book,” and “There is a difference between guessing and basing a theory on cold hard facts. We chose the facts.” Dugard’s “historical legwork involved trips to London and to Tut’s tomb”, whilst Patterson says he lost himself “in books and online research”. Thus encouraged, I read on, though was disturbed a little when on the introductory map of Egypt, I saw the Valley of the Kings wrongly located miles into the desert and well to the north of Thebes, around the actual location of Dendera. – Egyptologist Percy Newberry, is for some reason called ‘Perky’; I am not sure where that comes from. – Ancient Egyptian ships had triangular sails (actually always square or trapezoid). – Naville was French (actually Swiss). – Hatshepsut’s mummy has not been found (Dr. Hawass would disagree). – The location of Amenhotep II’s tomb is confused with Thutmose III’s which is the one high in the cliffs. – Mummies were made by drying bodies in the desert heat. – Ancient Egyptians used cotton sheets. – Abdul is an ancient Egyptian name (given to a soldier in the book). – There were camels in Egypt at the time of Tutankhamun. – Egyptian pharaohs “almost always” showed their wives on the walls of their tombs. I especially loved the idea that when Tutankhamun had been a less than attentive student, that he was made to write out “the twenty-five characters of the hieroglyphic alphabet” one hundred times! Though I supposed if the king had been forced to write out the many hundreds of actual signs, he would have died of boredom or repetitive strain injury, and would not have lived to have been murdered. Tutankhamun bears the Amun form of his name, not his Aten name which was later changed, whereas his queen is called Ankhesenpaaten throughout. There are many more examples I could give, but for the authors to extol their research and accuracy and to include such errors, is completely inexcusable. The characters are cardboard and, as to the outcome of the story, the ‘who dunnit’ bit, if you have read any of the many other novels or even non-fiction books, then the obvious culprits are always Ay and Horemheb … whoops! have I given the plot away? This book can be read very quickly. The chapters are very short, sometimes just two pages long, and the font size is large, with wide spacing between lines, thus inflating the book to its 350 pages (though 20-odd pages are adverts and reviews of Patterson’s next novel/ thriller). To be honest, I would not normally include a review of a book like this in AE, but as it is written by a mainstream author and published by a major publisher, then this is one title that is likely to be seen in bookshops the length and breadth of the country and heavily promoted and publicised. AE readers are advised that your hard-earned funds can best be spent elsewhere and that there are much better books, fiction and non fiction, about Tutankhamun, which are a more satisfying read.